A three-day weekend with no plans was the perfect timing for a family dinner and a movie night — all hands on deck in the kitchen to prepare the meal followed by a movie of the kids’ choice. My husband doesn’t like to cook. He says it’s because he doesn’t know how to cook anything that I would like. 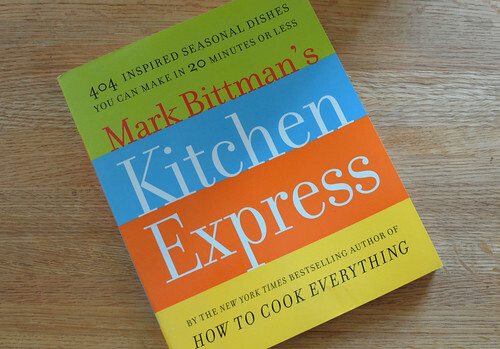 To encourage him to try new things, I bought him a copy of Mark Bittman’s cookbook, Kitchen Express, which features simple recipes to cook in under 20 minutes. 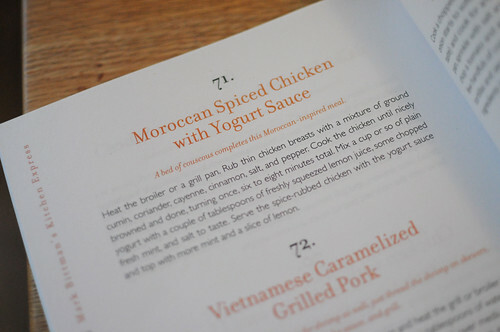 I like this cookbook because it’s chock full of ideas. The recipes are described in paragraphs and provide general guidance. If you are the type of person who prefers specific instructions, this might not be the cookbook for you. 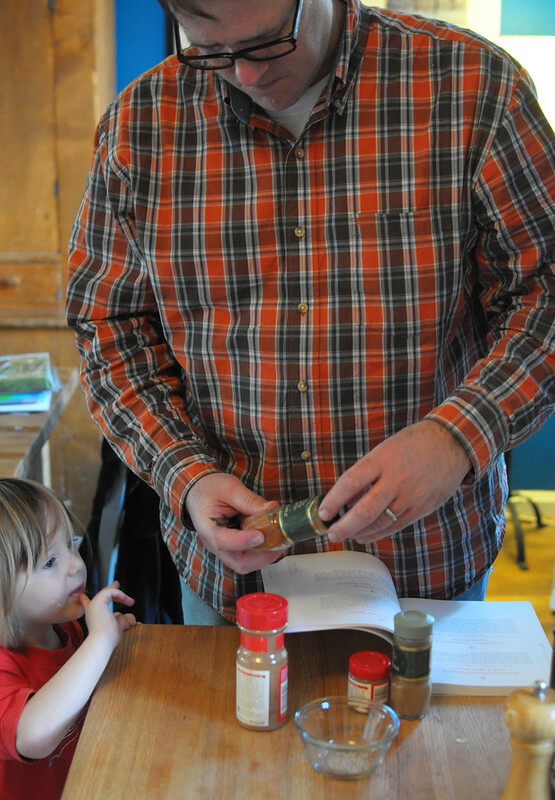 First, Mark and Calvin prepared the spice rub for the salmon — cumin, coriander, cayenne, cinnamon and salt and pepper. 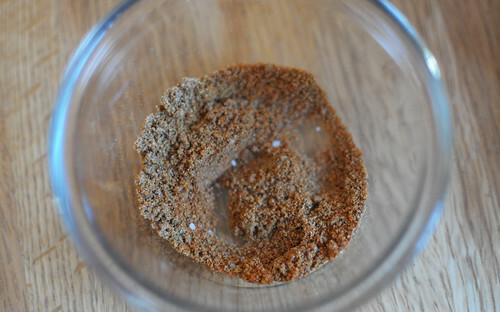 The recipe didn’t say how much of each spice to use, so I guessed at 1/2 tsp each. Fortunately this proved to be just the right amount for two filets. While Mark and Calvin worked, I started the rice. I like jasmine or basmati or the blend of jasmati. It pretty much cooks itself and is content on the back burner of the stove. 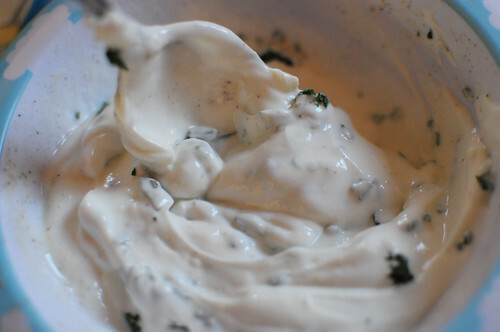 Next I prepared the yogurt sauce, a simple mix of 1 cup of plain greek yogurt, the juice of about half a lemon, 1 clove of minced garlic, about a tablespoon of chopped parsley and some salt and pepper. The recipe called for mint, but I didn’t have any and thought parsley would be an adequate substitute. 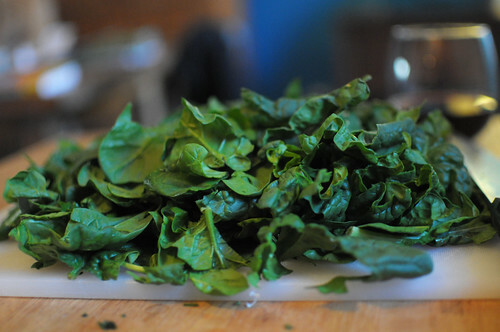 I heart spinach. I hope it hearts me back. I eat it pretty much every day. The plan was to saute the spinach with some oil and a couple of cloves of garlic. I did the prep work of mincing some garlic and removing the stems from the spinach. 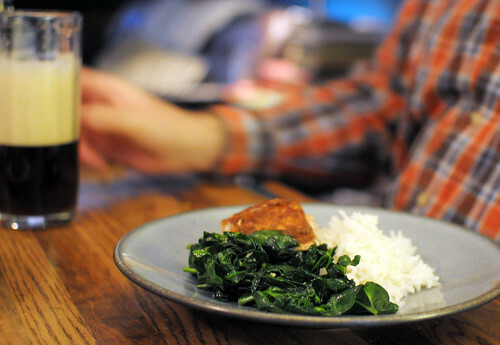 I’ll saute the spinach while the salmon cooks in the oven. When it was time to cook the salmon. I rubbed the top of each filet with all of the spice mixture. I kept the kids’ salmon plain because I knew they wouldn’t like the spice. I sautéed the filets in a little bit of olive oil for a couple of minutes to create a slight crust, then finished in the oven for about 9 minutes at 350 degrees. While the salmon cooked, I sautéed the spinach. And then it was time to eat. The kids helped set the table while I plated the food. The verdict: Under 20 minutes? Check. Tasty? Check. Easy? Yes! Make again? You bet! 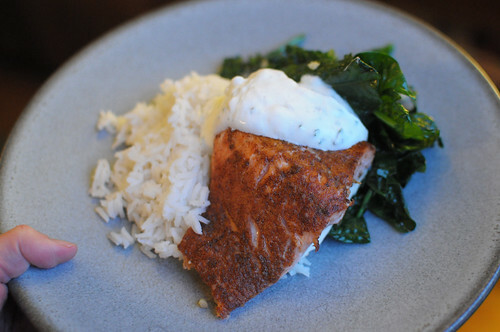 The cayenne gave the salmon a little kick but the yogurt sauce cooled it off. Mark isn’t into sauces and prefers his food extra spicy, so he opted for his sans sauce. More for me. 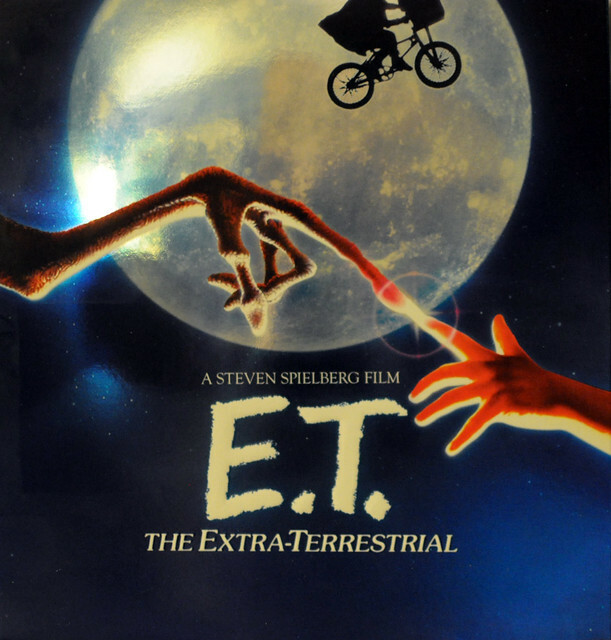 After dishes were cleared and pots were cleaned, it was time for tonight’s feature film, the classic alien movie, ET. It can be difficult to find a movie both adults and kids can enjoy, but you can’t go wrong with a classic. Do you have family dinner and movie nights at your house? Do you have any favorite movies that both you and your kids can enjoy? 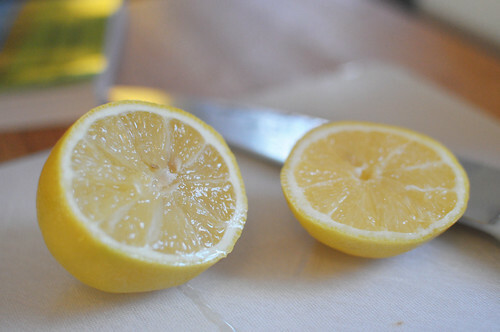 Have you tried any of Mark Bittman’s recipes? 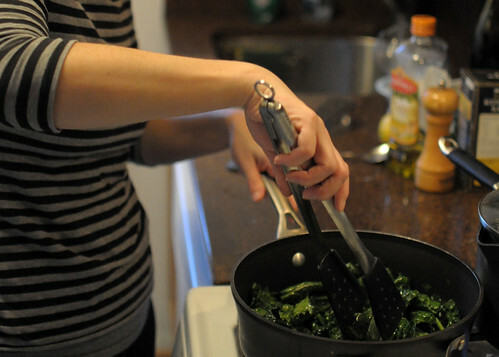 The Cuisinettes love Mark Bittman for his approachable cookbooks. 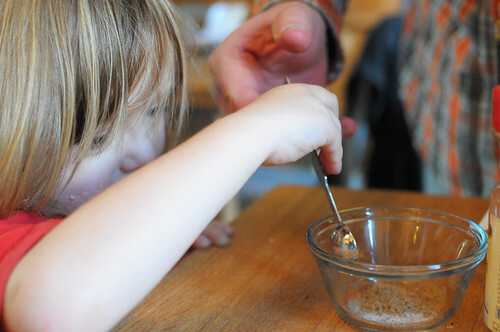 Best way to introduce someone happily to cooking. Lovely that you had had a dinner and a movie with your family.